The success of any organization’s mission is directly related to the quality of the people it recruits. At Achievement Prep, we work hard to get the right people “on the bus.” The Achievement Prep team is made up of the best, brightest, and most passionate in education. Working from a common mission and committed to shared goals, the Achievement Prep team works relentlessly to close the achievement gap for our scholars. We are non-negotiable in our beliefs, yet we are always striving to improve who we are and what we do. Together we do “three-generational work,” knowing if we change the lives of our scholars, we change the lives of their parents and the lives of their future children. Yolanda Barber: In her fifteenth year in education and third at Achievement Prep, Yolanda Barber is a career educator who currently serves as the Principal of our Elementary Campus. Yolanda began her career with Baltimore City Schools in 2004 and has consistently committed herself to educating the whole child, particularly those in under-resourced, urban areas. After six years teaching mathematics, Yolanda shifted her focus to teacher proficiency, hoping to impact educators in the same manner she did children. Prior to joining Achievement Prep, Yolanda’s work has included conducting classroom observations to provide teachers feedback around instructional strategies, facilitating targeted professional development, and analyzing quantitative and qualitative assessment data in order to build teacher capacity and positively influence scholar achievement. While at Achievement Prep, she has served as Dean of Curriculum and Instruction, and as Assessment and Accountability Manager, building strong relationship with staff, scholars, and families alike. Yolanda holds a B.S. in Mathematics from Howard University, and a Master of Arts in Leadership in Teaching degree with a specialization in STEM from Notre Dame of Maryland University. Tanya Tilghman: Tanya Tilghman joined Achievement Prep in October of 2010. She previously served as the Director of Special Projects, in which she oversaw various network-wide initiatives for the organization. She’s worked closely with the Founder & CEO, and school leadership to develop and oversee systems for all non-instructional activity to include school meal program management, facilities and maintenance contract management, and execution of various strategic plan initiatives. Prior to her current role, Mrs. Tilghman also served as a campus-based Dean of Operations, as well as the Assistant to the Founder & Head of School. Before joining Achievement Prep, Mrs. Tilghman held various positions throughout the public and private sector of education in the state of Maryland. She holds a degree in Business Administration. Shanquette Dannah: Shanquette joined Achievement Prep in 2018 as the Operations Coordinator for the Elementary School. She handles day-to-day operations of the school, ensuring all of the small details of running a school are attended to, from data reporting to school supplies, family and community outreach, events planning and management, and communications. Shanquette received her Bachelor of Science in Business Administration from Trinity Washington University and has over 6 years experience handling Operations in both school and business organizations. Shanquette believes education is the key to unlocking every child’s maximum potential. Erica Harrell: Erica joined Achievement Prep in 2012 and currently serves as the Principal of the Wahler Place Middle School Campus. As Teach For America alumna, she taught 2nd and 4th grade special education and 5th grade general education for three years at her placement school in Atlanta, Georgia. While working in Atlanta, Erica held several positions with TFA’s Atlanta office and Summer Institute, including Operations Coordinator, Summer Program Coordinator, Content Leader, Interviewer, Corps Member Advisor, and School Director. After teaching in Atlanta, Erica moved back to the D.C. area and began work at Achievement Prep, where she taught 5th grade math. Erica was a founding Co-Director of Academic Achievement and a Dean of Curriculum of Instruction at the Elementary School before returning to the Middle School. Upon her return to the middle school she served as the Dean of Curriculum & Instruction. 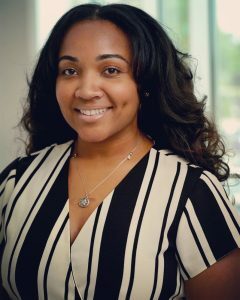 Erica holds a bachelor’s degree from the University of Maryland – College Park in Communications and Sociology and a Masters of Education in Instructional School Leadership from Relay Graduate School of Education. Tramaine Pickett: Tramaine joined Achievement Prep in 2014 and currently serves as the Assistant Principal of Culture of the Wahler Place Middle School Campus. Tramaine helps to create and maintain a supportive, productive, and joyous school culture and climate that is critical for scholars’ academic and socio- emotional success. Tramaine has over 10 years of experience in education as a special education teacher, classroom teacher, instructional coach, and school leader. Tramaine holds a Bachelor’s Degree in Psychology from Clark Atlanta University, and a Masters in Clinical Mental Health Counseling from Argosy University. Whitney Martz: As the Assistant Principal of Instruction, Whitney ensures that every scholar at the Middle School campus receives rigorous instruction that will make him or her college and career ready. Whitney has over 13 years experience as a teacher, instructional coach, and assistant principal. Before joining Achievement Prep, Whitney began her career in Fairfax County Public Schools as a special education mathematics teacher for six years before joining another charter in Washington, DC. She has spent the last five years working in Wards 7 & 8. Whitney holds a bachelor’s degree in Conflict Resolution from George Mason University, a Master’s of Education Degree in Special Education also from George Mason, and a Master’s of Art in Education Policy from The George Washington University. Cyrkle Lomax: In her role as Scholar Support Coordinator for the Middle School Campus, Cyrkle facilitates the special education processes that are necessary to maximize the growth potential of scholars with exceptional learning needs to include evaluating special education programs, training scholar support teaching staff and dedicated aides, and overseeing the development and application of individualized education programs (IEPs). Cyrkle joins the Achievement Prep community after serving as a Special Education ELA teacher and Special Education Chair in another school district. She holds a B.S. in Mass Communications from Towson University and a Masters of Leadership in Teaching with dual certification in Special Education and Secondary English from the Notre Dame of Maryland University. Stephone Harris: Stephone Harris joined Achievement Prep in 2017 as the Operations Coordinator for the middle school. Stephone handles the day to day operations of the middle school, including, but not limited to: enrollment, family outreach/communication, procuring school items needed, etc. Stephone received his Bachelor’s Degree in Biology from West Virginia University and has over 7 years of experience in Operations. C.J Gaffney III: C.J Gaffney serves as our Dean of High School Placement and is a career educator with over thirteen years of experience. He has served as an Admissions Outreach Coordinator and Teacher for some of the area’s top private schools and has placed over 200 middle school scholars into some of the best high schools on the east coast. C.J obtained his B.A from Dickinson College and his Masters in School Leadership from Marymount University. Shantelle Wright: Shantelle founded Achievement Prep in 2007 as a Building Excellent Schools Fellow and has led the school to be one of the top performing schools in DC since its inception. Shantelle is a well-respected school leader and has received numerous awards and recognitions for her work in urban education. Prior to founding Achievement Prep, Shantelle practiced commercial real estate law for several years at a large, well-respected Washington, D.C. law firm. She is a proud “Hamptonian” and obtained her B.A. in Sociology from Hampton University. Shantelle is also a licensed attorney, having received a Juris Doctorate from The George Washington University School of Law. Susie Cannon: Susie is the Chief of Network Affairs of Achievement Prep. She joined Achievement Prep during the 2008 planning year as the founding Director of Academic Achievement. Since that time, Susie has worked to develop and oversee the academic program of the school. She has more than fifteen years of experience teaching and leading in both traditional public schools and public charter schools located in Wards 7 & 8 in Washington, DC. Susie holds a B.A. in English and an M.A. in Educational Leadership and Management from George Washington University. She is also a graduate of Princeton Alumni Corps’ Emerging Leaders program. Greg Gaines: As Chief Operating Officer, Greg oversees operations on both the school and the network level, developing strategic plans for organizational growth and building systems to increase efficiency and efficacy. Prior to joining the Achievement Prep team, Greg served as Director of Budget Operations at another DC charter network and as a regional manager in the Washington DC Department of Parks and Recreation. He earned his B.S. in Economics from the University of Massachusetts and a Master’s of Public Policy from George Washington University. Greg was also an Associate Fellow at Harvard University’s Center for Education Policy Research. Rob Murphy: As the Managing Director of Curriculum & Instruction, Rob is responsible for the overall academic performance of all schools. He oversees the academic program including curriculum, instruction, assessment, student learning and professional learning. He helps both teachers and leaders develop a deep understanding of the written curriculum, assessment tools, effective instructional practices and student data. Rob collaborates closely with the instructional leaders across the organization to continually improve teacher practice and increase student achievement. He works to ensure that every scholar is taught by a highly effective teacher. Before joining Achievement Prep, Rob served as a classroom teacher for 15 years. As a teacher, Rob was the recipient of the Agnes Myer Award for Excellence in Education presented by The Washington Post and was a nominee for Virginia Teacher of the Year. Since moving into a leadership role, he has worked as an instructional coach and as a leader at both the school and network level. Rob holds a BS in Secondary Education and a BA in History from the University of Scranton. He received master’s degrees in Linguistics & Bilingual Education from Georgetown University and School Leadership & Supervision from George Mason University. He is also a certified reading specialist. Steaven Hamlin: As Achievement Prep’s Director of Scholar Support, Steaven Hamlin develops and coordinates Special Education strategies, instruction, and goals to ensure all Star Scholars make college-ready growth. Steaven came to Achievement Prep with a background in Special Education, having worked as a Special Education Teacher and a Special Education Coordinator. Most recently, he served as the Director of Scholar Support Services for another DC charter school network. Steaven received his B.S. in Biology and Education from Virginia State University. Danielle Johnson: As Director of Impact, Danielle Johnson oversees our Response To Intervention (RTI) program and the Student Support Team (SST) processes and compliance as a member of the Achievement Prep Network Academic Team. Danielle is best described as an intelligent woman with an outstanding history in the education with special interest in providing a world-class educational experience for all young people. Danielle received her Bachelors Degree in Urban Arts Productions with a concentration in Arts Education from Coppin State University in 2004, and her Master of Science Degree in Organizational Leadership with a focus in Educational Leadership & School Turnaround from Nyack College in 2010. Danielle has 15 years of educational experience and currently holds certifications in Middle School English and School Leadership. Danielle is no stranger to the Achievement Prep family and has previously held positions as the Families and Community Coordinator and the Director of Outreach, in prior tenures with Achievement Prep. Prior to her return to the Achievement Prep family in 2017, Danielle held key instructional leadership roles at two other Charter Networks. As Achievement Prep’s Director of Recruitment and Outreach, Donté Ray develops and oversees Recruitment and Outreach strategies for finding talented people to join the Achievement Prep family. Donté comes to Achievement Prep with a background in Teaching Elementary Education, Writing and Negotiating Contracts, and Recruitment. Most recently, he’s served as the Director of Talent and Acquisition for Teach For America. Donté received his B.S. in Business Administration from the State University of New York at Geneseo. Tamiko Singleton: Tamiko joined Achievement Prep in May 2016 as the Special Assistant to the CEO. She assists with the management of the day-to-day affairs of the CEO’s office and maintains the systems of the network that are under the direct supervision of the CEO. Tamiko received her Bachelor of Arts in Political Science from Virginia Commonwealth University and has nearly 10 years of experience working as a direct service provider in both school and community-based organizations. Tamiko is passionate about educating young people and helping them reach their full potential. She loves to travel and spend time with family, friends and her dog, Coco. Taimarie Adams serves as Director, Government Relations at Service Year Alliance. She has more than seven years of legislative affairs experience managing education policy at the local, state, and federal levels. Prior to joining Service Year Alliance, Taimarie worked with the Association of Community College Trustees, an organization that promotes high-quality and affordable higher education, student success, and the opportunity for all individuals to achieve economic self-sufficiency. Taimarie is a graduate of the Pennsylvania State University and received her Juris Doctor from Harvard Law School. Jason E. Andrean is a Vice President and Relationship Manager at Capital One Commercial Bank. With more than 11 years of retail and commercial banking experience, Jason brings a strong background of financial analysis and management to the board. Jason’s community involvement and leadership include serving on the board of the Boys & Girls Clubs of Greater Washington, where he is the past president of the DC Region. Currently he serves on the board of the DC Children and Youth Investment Trust, DFER DC Advisory Board, and is the vice chair of Northern Virginia Chamber of Commerce’s Corporate Social Responsibility Council. Jason graduated from the McDonough School of Business at Georgetown University where he studied leadership and change management. Patricia Grant is the dean for the Undergraduate Programs at Georgetown University’s McDonough School of Business. At Georgetown McDonough, she has revamped the undergraduate advising structure; expanded career trek opportunities; laid the groundwork for a young alumni advisory group; contributed to curricular innovations such as an entrepreneurship fellows program and first-year seminar program; and created two diversity and inclusion initiatives for incoming students, including one that partners with PwC. Grant joined Georgetown McDonough in 2010 with more than 15 years of experience in undergraduate, graduate, and executive education program administration. She has taught courses at the University of Pennsylvania, the College of New Jersey, Temple University, and Georgetown. Additionally, she worked in the Office of Executive Education at Penn to develop and launch six master’s and doctoral programs. She holds an Ed.D. and M.S.Ed. from the University of Pennsylvania and an A.B. from Cornell University. John Mahaffie is a futurist who helps organizations interpret and respond to change they face, and to discover paths forward. He brings his clients two essential capabilities: a comprehensive knowledge of the future, and skill and experience at designing and leading processes to explore change and opportunity. John writes, speaks, and consults on topics including future consumers, work and worklife, science and technology, education, global economic change, and the environment. Since 1987 he has served dozens of Fortune 500 companies along with trade and professional associations, government agencies, and non-profits. John is a co-founder and past Board Chair of the Association of Professional Futurists. He has also served on the boards of the Northwest Washington Little League, the Urban Baseball Foundation, and the Edmund Burke School. Born and raised in Maryland, he has been a DC resident since 1983. Barbara Nophlin is a long-time advocate of public education, she has been active in both Washington, DC public charter schools and traditional schools. Currently an education consultant, she has worked as a principal, assistant principal, early childhood coordinator and instructional support specialist. Ms. Nophlin was the second head of school for Paul Public Charter School (formerly Paul JHS, a DCPS school), the city’s only conversion charter school. She was principal at Community Academy Public Charter School and Amidon Elementary School (a DCPS school). Ms. Nophlin was also the director of policy research and analysis in the former Washington, DC State Education Office. Currently she coaches new principals for the Friendship Public Charter School network. Ms. Nophlin received her Bachelor of Science in early childhood education from the District of Columbia Teachers College and her Master of Education from Trinity College. Kenneth Ward, Executive Director, College Bound Inc.
Mr. Ward is a native North Carolinian, born in Halifax County; home of the Halifax Resolves, which is the precursor of the Declaration of Independence. After graduating as valedictorian of his senior class at Enfield High, he matriculated at the University of North Carolina Chapel Hill on a Pogue Scholarship. After relocating to Washington DC, Mr. Ward obtained a Master’s Degree in Education from Trinity College and has worked at the Library of Congress, Charles Young (5th Grade), Harriet Tubman (Summer School Principal), and Paul Public Charter School. Mr. Ward has been a part of the College Bound Organization for the past 20 years serving as the site coordinator at the Gonzaga and Beacon House sites before being selected as the Executive Director of College Bound. Ursula Wright is a founding trustee of Achievement Prep. She currently co-leads the Education & Youth practice at FSG, a mission-driven consulting firm for leaders in search of large-scale, lasting social change. Through its combination of customized services, powerful ideas, and learning communities, FSG helps foundations, businesses, nonprofits, and governments around the world accelerate impact. Ursula’s immediate past position was with the Obama Administration where she served as the Associate Assistant Deputy Secretary for the Office of Innovation and Improvement at the U.S. Department of Education. Prior to her government service, Ursula was an executive at the National Alliance for Public Charter Schools, the leading national nonprofit organization committed to advancing the quality growth of the charter school movement. Before transitioning to the not-for-profit sector, Ursula developed functional competencies in strategy, operations, finance, and marketing at some of the nation’s most recognized private sector firms. Ursula earned a Bachelor of Arts degree from Spelman College and a Master of Business Administration from the Kellogg School of Management at Northwestern University. She has also completed executive education coursework at the Harvard Graduate School of Education.